Many countries have seen a significant and rapid growth in the volume of low-value imports of physical goods on which duties and taxes are not collected. There are growing concerns about matters related to potential revenue loss, fraud, and the disadvantages experienced by domestic retailers. Therefore, it is appropriate to provide an overview of the traditional collection model, current developments aimed at improving it, and new, alternate models for collecting duties and taxes on these consignments. With the proliferation in the use of the Internet, particularly in relation to increasing transmission speeds, and the development of secure means of payment, international trade is witnessing a rapid expansion in sales of goods and services via this medium. A large part of this trade consists of ‘low-value’ consignments delivered by the Post or by express courier services. Collecting all duties and domestic taxes – known variously as value-added tax (VAT), general sales tax (GST), goods and services tax (GST), purchase tax, etc. – on cross-border imports requires simple, inexpensive ways to identify a transaction, obtain a description of the goods, value them, ascertain the shipper and buyer details, and collect any amounts that may be payable. Taxation systems currently structured around traditional business models need changes to adapt existing systems and procedures, in order to enable more effective prevention of revenue losses while at the same time ensuring that there is no discrimination between businesses using the new technology and those continuing to trade conventionally. Given the rise in e-commerce, the early establishment of effective revenue collection procedures for international e-commerce comprising small, low-value consignments, especially those with a value below the Customs duty threshold but beyond the tax threshold, is increasingly seen as a matter of vital concern among some tax authorities. A survey on the VAT/GST treatment of imported goods conducted by the Organisation for Economic Co-operation and Development (OECD) in September 2014 indicated that potential reform of low-value relief regimes is high on the agenda of many countries. With Customs in most countries being responsible for the collection of all duties and taxes on low-value goods, the WCO has been collaborating with the OECD and the Universal Postal Union (UPU), among others, to develop a harmonized approach towards more efficient collection of duties and taxes on such imports. It having been noted that there is no ideal solution, a combinations of options are being discussed for governments to consider, depending on their domestic situation and their exposure to imports of low-value goods. This article highlights the work undertaken by the WCO and the UPU to streamline Customs clearance processes for postal items, as well as the work being done by the OECD, with support from the WCO, on exploring various alternate models of revenue collection for cross-border e-commerce. High-value consignments – goods requiring a standard import goods declaration. Besides revenue collection, Customs is equally concerned with preventing contraband and other prohibited items from entering a country. In the international mail and express environment, all packages, regardless of their value, are subjected to risk assessment and, where appropriate, screened by Customs as part of its wider border risk management process. A Customs administration typically determines which items are subject to control, taking into consideration national Customs regulations, and those of other government departments for which Customs is broadly responsible. International parcel post (postal operators): usually no advance electronic information is provided about parcels sent through the post, and Customs is required to screen mail manually for revenue collection and other risk management purposes. This process is facilitated by the use of internationally standardized forms, namely the CN22 – packages under 2 kg in weight or valued at less than 300 special drawing rights (SDR), and the CN23 – packages valued in excess of 300 SDR. These forms provide brief details of the origin, classification and Customs value of the goods, the main difference between them being that the CN23 also requires the name and address of the sender and the importer. Items falling below the de minimis value and not infringing any laws are released immediately. The rationale behind the de minimis regime is that revenue collection on low-value shipments should be commensurate with their processing costs. Packages declared to be of a value exceeding the de minimis threshold for payment of duties and/or taxes are withheld from delivery until the duties and taxes payable have been charged and collected. Depending on the country, the postal operator may determine the duty to be collected, with Customs validating the Post’s process and helping it to determine the precise tariff applicable to an item. The Post could also act as a Customs clearing agent, directly or indirectly representing the declarant, typically the addressee. In such a scenario, the Post would pay duties and taxes to Customs, and in turn receive payment from the addressee. As for courier services, they usually pay the duty and tax to Customs, and in turn receive payment from the addressee. Several countries operate some form of a ‘user pays’ system. For example, in Canada and the United Kingdom (UK), consumers are charged a processing fee representing the costs incurred by, respectively, Canada Post and the Royal Mail. In Australia and New Zealand, consumers are required to pay a Customs handling fee. These fees are charged on the grounds that Customs, couriers and postal authorities incur additional costs in the identification and processing of consignments on which duties and taxes are owed. The de minimis threshold and its method of calculation are a matter of national competence. Some administrations have different thresholds for Customs duties and domestic taxes, while some even have different thresholds for personal gifts, which are normally higher than for other goods. There are also several exceptions to the application of the de minimis rule, such as on books, tobacco and alcohol products. As a result, there is a wide range of models and thresholds for the de minimis rule around the world. With the rapid increase in low-value consignments, the postal and express industries often argue that higher de minimis levels would promote cross-border e-commerce, increase trade, and stimulate economic growth and employment. Moreover the costs, both to governments and businesses, of processing low-value consignments, could possibly be greater than the overall revenue collected on these consignments. From a Customs perspective, the increase in imports of low-value consignments below the de minimis level can have an adverse impact on revenue collection. Some Customs administrations are witnessing the growing misuse of the de minimis facility, by way of vendors splitting and/or under-valuing consignments for tax avoidance purposes, to keep the value of an individual shipment below the specified threshold. While governments should obviously aim to encourage market competition among emerging businesses based on innovations in operations and business models, they may equally look for strategies on de minimis rules, in order to avoid potential revenue leakages as well as providing a level playing field for industry. Given the enormous volumes passing through the international mail centres, it is inevitable that even packages exceeding the de minimis threshold routinely pass through the border undetected. Improving the clearance process should enable Customs to better assess the revenue risk posed by low-value items, as well as enhancing the capacity of Customs to detect consignments containing illicit products. 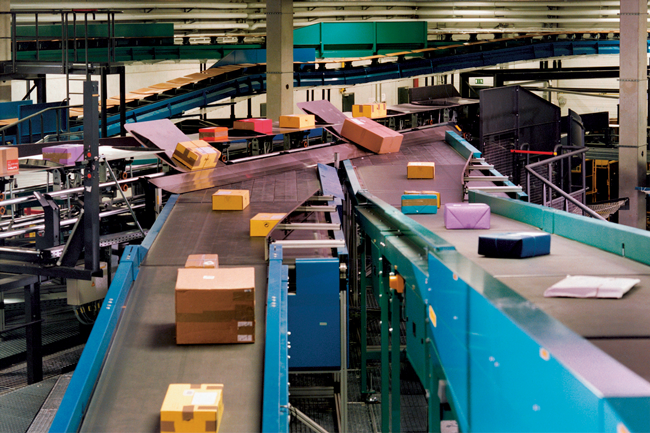 The global fast parcel industry is dominated by three large express carriers that already have sophisticated systems in place which allow effective controls to be applied. Her Majesty’s Revenue and Customs (HMRC) in the UK, for instance, has direct access to express carriers’ information systems as part of the conditions allowing these companies to operate simplified import procedures. The situation is rather different where postal operators are concerned. The CN22/CN23, being paper-based, is not sufficient to enable Customs to evaluate risks in advance, or even after the goods have been presented, due to increasing volumes, and the emphasis on speedy clearance of such parcels. To remedy the situation, the WCO and the UPU have collaborated to jointly develop electronic messages to permit the pre-advice and possible pre-clearance of postal items. In addition, the UPU has recently created a legal basis for the provision of advance electronic data, by amending Article 9 of the UPU Convention. This amendment came into effect on 1 January 2014, and implementing provisions are being finalized. Moreover, the UPU’s Postal Technology Centre has developed an electronic Customs Declaration System (CDS) on the basis of the Joint WCO/UPU Customs-Post EDI message. It allows customers to enter data about an item online, and enables Posts to give Customs advance data about a postal item. It also enables Customs administrations to inform Posts about the action to be taken with respect to any given item. The CDS is currently being used/piloted by some postal operators in conjunction with Customs administrations. However, a lot needs to be done to improve the interface between Posts and Customs in implementing advance electronic data exchange. There is also a need for sound legal and technological safeguards for data privacy and security, in order to make the exchange of information process efficient and sustainable. In this connection, a Virtual Working Group of interested WCO and UPU Members has been set up under the auspices of the WCO-UPU Contact Committee, to examine the existing interfaces and forms of information exchange between Customs and Posts (including experiences of using the UPU CDS), and develop a set of recommendations, guidelines, and best practices in this domain. Thus, the traditional collection model is improving and becoming more efficient, given the current development of electronic Customs and postal procedures; at the same time, discussions are ongoing to explore alternate new schemes which would allow all duties and taxes to be collected efficiently as soon as goods exceed the de minimis threshold. Consideration is also being given to adjusting the de minimis threshold, where appropriate. The WCO is currently working with the OECD to explore the alternate models discussed below. Under this model, non-resident vendors would be required to register in the importing country, and remit duties and taxes to that country. Here, the greatest issue lies in creating a system which provides sufficient incentives for firms to voluntarily collect and remit taxes on behalf of a myriad of countries. Compliance would be facilitated and encouraged by simplifying procedures, and providing additional incentives to compliant vendors, such as fast-track processing of imported goods. Postal operators, express service providers or transporters (FedEx, DHL, etc.). However, as postal operators have limited information about the identity and nature of the sender, the content of the packages and the nature of the addressee, their participation in the collection of taxes would require a significant adjustment of their data collection and transmission procedures. Another difficulty lies in the fact that there is often very little commercial agreement with the sender. This combines with the legal obligation to deliver the package to the addressee. Freight carriers could play a role in the vendor and intermediary collection approaches, since they are already collecting information and remitting taxes and duties to Customs authorities. However, they point out the difference between the mere remittance of taxes on behalf of the vendor and the liability to account for the tax – the latter may be much more problematic. E-commerce platforms or marketplaces that provide a trading framework for businesses (eBay, Amazon, Facebook, etc.). Some of the biggest marketplaces offer, for a fee, the services of international shipping experts who manage the shipping and Customs process, and send the item to the buyer. There are usually restrictions in terms of the nature, size, price and destination of the item. Financial intermediaries such as online payment providers (Visa, MasterCard, American Express, PayPal, etc.). Whilst the idea of involving financial intermediaries is conceptually attractive, it does not appear to be feasible at present. Information held by traditional financial institutions, such as retail banks and credit card companies, will generally be limited to the details needed to validate a card’s authenticity and/or confirm that sufficient funds are available in the purchaser’s account to pay for the purchase. As for payment operators, even if they collect information about the vendor, the consumer and the amounts paid, they are lacking some of the information needed to assess the tax due, such as the nature of the item and the applicable rates. With the introduction into traditional Customs and postal procedures of various information and communication technology (ICT) solutions and risk management tools based on advance electronic information, the processing of low-value shipments – in terms of the clearance and collection of duties and taxes – should become far more simple and cost-effective; this could potentially lead to a reduction in the de minimis value where appropriate. By reducing the costs associated with collection efforts, the adoption of new taxation models could also potentially support a case for moving to address revenue leakage concerns and create a level playing field for domestic retailers. However, one must keep in mind that the removal of the tax exemption may trigger significant additional costs for vendors and consumers. Freight forwarders, the express industry and postal operators argue that the removal or lowering of the exemption thresholds would imply an increase in the delivery costs for packages, due to both the tax itself and the cost of management and remittance. They also stressed the huge variation in collection costs between countries. As for e-commerce sellers, they are expressing concern about the cost of tax collection vis-à-vis the value of the items sold. It is, therefore, essential to develop procedures which are as simple, cost-effective, and consistent as possible. Customs administrations should fully comprehend the impact of the developments and opportunities generated by the growth in low-value cross-border consignments and, where appropriate, adapt themselves to the emerging trading landscape. To this end, among others, discussions are also ongoing at the WCO on the interpretation of Transitional Standard 4.13 in the General Annex of the WCO Revised Kyoto Convention (RKC) on the simplification and harmonization of Customs procedures, which provides for Customs to specify a minimum value and/or a minimum amount of duty and tax below which no duties and taxes will be collected. 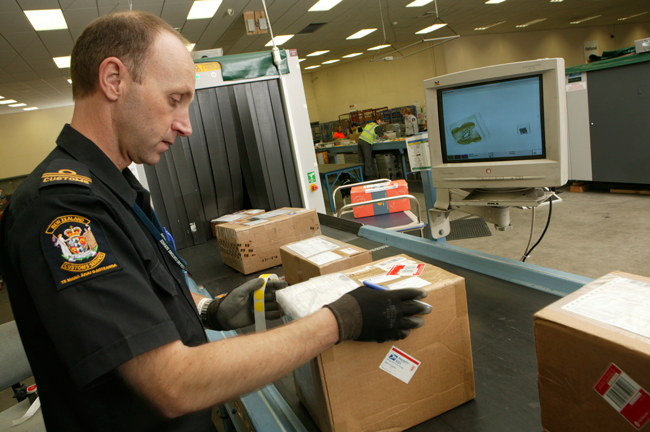 Regarding the use of electronic messages between postal operators and Customs, Belarus, Canada and Slovakia are currently exchanging ITeM ATT pre-advice messages, with the origin and destination Posts providing information on an item (including details of the sender, addressee and item content) which is required by Customs for security screening, and other risk assessment purposes. Moreover, Paraguay is capturing data for outward mail being sent to some 10 UPU countries, and India is receiving data from Bhutan. As for the UPU electronic Customs Declaration System (CDS), it is already in use in Canada and the United States (US), and implementation pilots are currently underway or planned in Brazil, Chile, Costa Rica and the UK. HMRC has set up a system of prepayment of import VAT on goods purchased over the Internet or by mail order. Special arrangements allow some overseas traders to charge, collect, and pay over to HMRC the import VAT for goods purchased by mail order that would normally be chargeable at the time the goods are imported. These arrangements operate under Memoranda of Understanding (MoU) signed with certain overseas Customs and postal authorities, namely the Channel Islands, Hong Kong, Singapore, and New Zealand. Overseas traders wanting to use this procedure must be authorized to do so by their authorities. Once authorized, foreign businesses are issued with a unique authorization number, which they must show on the Customs declaration or packaging along with the statement ‘Import VAT Prepaid’. Where these arrangements are used, importers will not be charged a Royal Mail handling fee when they receive their package. Intermediary collection model schemes also exist to some extent. Some of the biggest marketplaces are already providing tax compliance services to their vendors. One such example is eBay’s Global Shipping Programme, whereby eBay collects the price of the item from the purchaser and remits it to the vendor, and collects the international postage costs and any import duties and taxes, and remits them to the international postage provider – who presumably remits the duties and taxes to the importing country. the remaining risks of undervaluation and misdeclaration of supplies by vendors, and the risk of fraud connected to refund procedures. There is a need to enhance existing working relationships between Customs and Tax administrations, as well as cooperation between and among Customs/tax administrations at the international level in order to ensure that revenue collection for low-value cross-border e-commerce is conducted in an optimum manner. No mechanism should be seen as stand-alone. A best practice may involve a combination of the models described earlier in this article, in order to increase the effectiveness of the collection of duties and taxes on low-value imports, depending on national policy imperatives and specific circumstances. Also, in order to improve revenue collection under these alternate models, it would be useful to promote the automatic exchange of information between Customs authorities and e-commerce intermediaries, i.e., marketplaces, transporters, and financial intermediaries. Such information would allow Customs to identify and control the flows of goods and stakeholders. As explained in the opening article of this Focus on e-Commerce, such solutions will need to be supported by strengthened international administrative cooperation and exchange of information between importing and exporting countries. The WCO has a number of instruments and tools that support the exchange of information, such as the Nairobi Convention and the Model Bilateral Agreement. These existing WCO instruments and working arrangements, with suitable adjustments wherever required, could potentially be leveraged to facilitate the exchange of information for e-commerce purposes, leading to an efficient revenue collection approach.